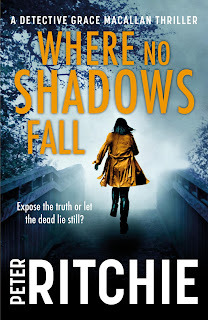 BLOG TOUR ALERT! AGAIN! 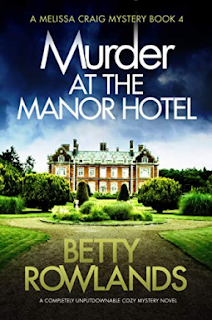 And yes, it's another adulty murder story! 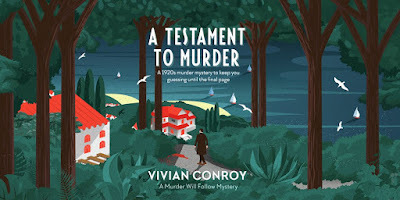 A Testament of Murder by Vivian Conroy first came on my radar after reading that this has an Agatha Christie vibe to it (A mix of And Then There Were None and Crooked House, apparently) and seeing as I am planning to read a lot of Agatha Christie this year, I got excited when I was asked if I wanted to be involved in this tour! A dying billionaire decides on a cunning and ruthless plan. At midnight every day, he appoints a new heir to his fortune. If he dies within the 24 hours before the next midnight, the money will go to that person. 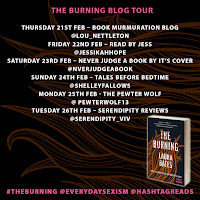 Like I said, this is blog tour and I have an extract to share. Hopefully, this will wet your crime-solving appetite. And before I hand it over to the extract, I would like to thank Ellie at Canelo for inviting me onto this tour! 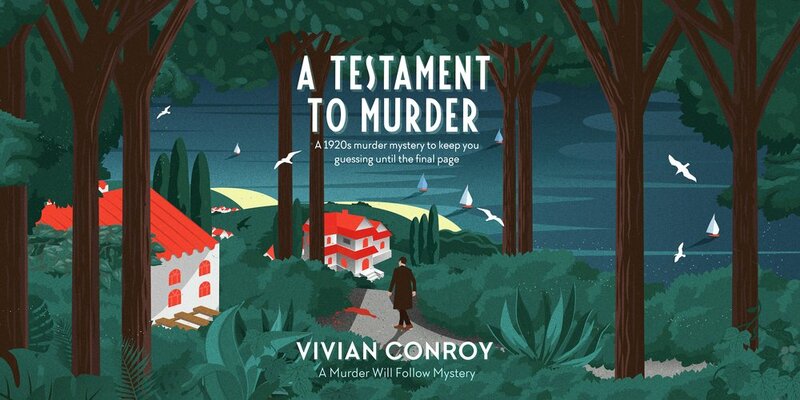 Oh, if you want more info on Testament of Murder, check out the Canelo's website or if you want to say to the author, Vivian Conroy, pop over to Twitter and find her at @VivWrites. Now, ONTO THE EXTRACT!!! 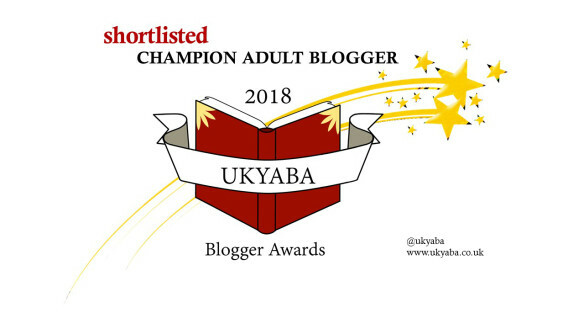 Another day, another blog tour. And this one is about witches! And as you know, I love a good witch story! 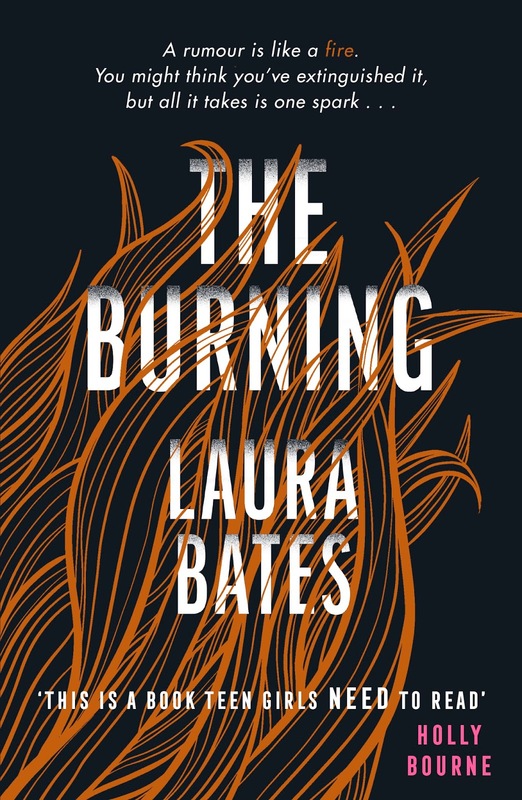 And with this story told from the woman behind the smash Twitter of @EverydaySexism, Laura Bates, I can sense this is going to be one interesting read. I am thrilled that Laura found time to write down a list of Laura's favourite witch stories and they are an interesting and exciting mix! 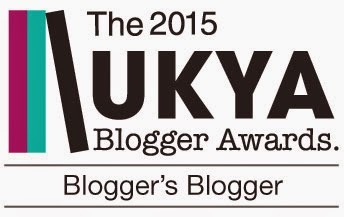 I can't wait to share this list with you all! 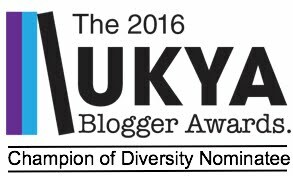 Before I hand over to Laura's top 5 list, I just want to thank Laura for finding the time to write this guest post. I, also, want to thank Anna at Simon and Schuster for asking if I wanted to be involved in this tour! 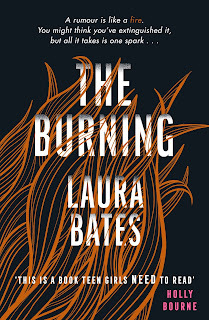 Now, if you want more info about The Burning, why not check out Simon and Schuster website or via Book Depository. 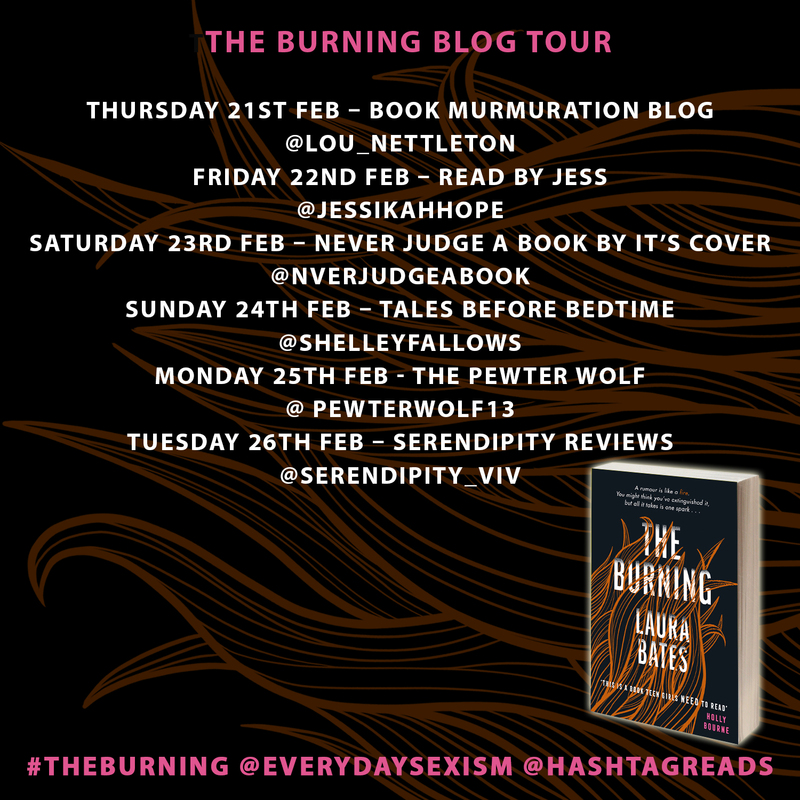 Plus, if you want to say hi to Laura or find out more about The Burning or Everyday Sexism, check Laura out on Instagram or via Twitter at @EverydaySexism or at EverydaySexism.com. Now, ONTO THE WITCHY LIST!!! As you guys know, I am planning to try and read the whole series of His Fair Assassin by Robin LaFevers this year (as well as Christopher Paolini’s Inheritance Cycle - I announced my hopes to read these in this post). But here’s the thing. 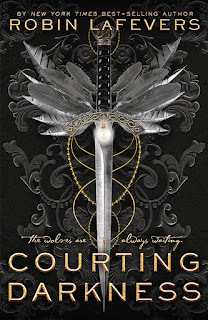 When I decided this last December, Layla from Andersen Press asked if I wanted to read Courting Darkness and reveal the UK cover. I said yes (because of course I world) and I was given a ring-binder manuscript as finish copies weren’t ready. 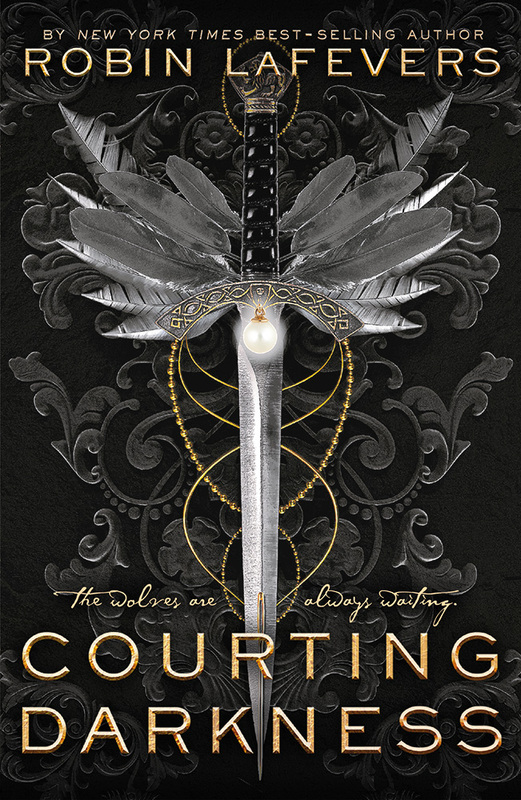 So, for the past month or so, I have slowly made me way through Courting Darkness. The fourth book in the His Fair Assassin series (or first in a duology set after the events of the series), we follow Sybella, one of the most gifted of Death’s daughter, serving deadly justice on behalf of St Mortain. But her younger sisters are her newest mission and in a bid to keep them safe, she agrees to accompany the Duchess of Brittany to France where the Duchess will marry the King and bring together the two countries together as one. But as Sybella watches the French court and begins to distrust the King’s sister, she discover that two fellow assassins from the convent of St Mortain have been placed in the court under cover… but how can she find them? Genevieve has been a faithful assassin to St Mortain, going deep undercover int he French court since she was 12. But she’s been under cover for so long, she no longer knows what she’s fighting for any more. And when she discover a prisoner deep in the castle’s dungeons, she decides to take matters into her own hands. So, reactions. What do I think about this? EXTRACT TIME! And it's from an adult crime novel. That has swearing and everything! How un-YA of me! But as I am doing a Year of Blood and Magic - magic and murder - I saw this and went "Oh, this sounds a little dark and up my street!" A quick info dump of the book. Detective Grace Macallan is happy with her 9-5 job at police desk. Expect, it's not what she was expecting it to be, so when she gets a chance to escape and investigate a suicide at a notorious Glasgow prison, she jumps at the chance. Tommy McMartin committed suicide. Heir to a dangerous gangland family, his murder conviction threw him out of the family, not only due to the level of violence, but because he murdered his gay lover. 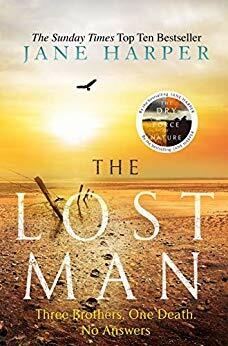 I don't have anything more to add to this as this is an extract and this sounds a tad darker than what I am use to with my murder reads, but intrigued to share and see what your thoughts are. I just want to thank Alastair at Black and White Publishing for asking if I wanted to be involved in this! If you want some more info, check out the Black and White's website or via Book Depository. Don’t give me that look. I know what you’re thinking. “Another gay romance, Andrew? Really?” Well, yeah. And be warned, I have one or two others within my TBR so you will see a few more in the coming few months within my blitz of murder and dragons. But I wanted a change of pace. And I wasn’t in the mood for anything too heavy. Plus, I wasn’t ready to start my reading of Eragon or Grave Mercy, both first books in the two series I want to read in 2019 and, while looking through my NetGalley eProofs (I have around 60 to be read - a few from when I started on NetGalley. THE SHAME!!! But, am making plans to try and cut down my requesting of eProofs and try to read a good few before I got on a blog break in April/May. I am making plans! 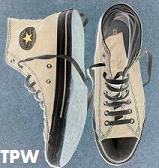 ), this title catch my eye and went “Ok. I can hammer this out fast. Let’s see where I go with it.” Plus, I did read the previous book in the series, Squared Away (write-up for that is here), and I did enjoy that hugely at the time (I read it in two days flat). So, what did I think of this? 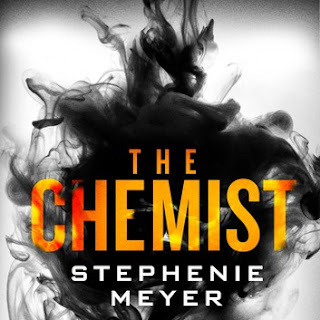 As you guys probably know if you have been following the Pewter Wolf for a while, I enjoy reading Stephenie Meyer’s books. Yes, I know that they are not the best books in the world. I know that, and I fully get that. But here’s the thing: they are fun. And with the world being so dark at the moment (maybe it always was and the fact that I am growing up and noticing that more), means I want to read and audiobook more fun things. So yes, I am going to listen to this and to heck with it. She used to work for a US government department so secret it didn’t have a name. An expert in her field. Now she’s on the run, always changing her name, never staying in the same place too long, always wearing a gas mask before she falls asleep due to her web of traps to keep her alive. As you know if you have followed the Pewter Wolf in the past month or so, I’m planning to read Inheritance Cycle by Christopher Paolini through 2019. Or try to (they are meaty books!). I planned this back in late summer 2018. 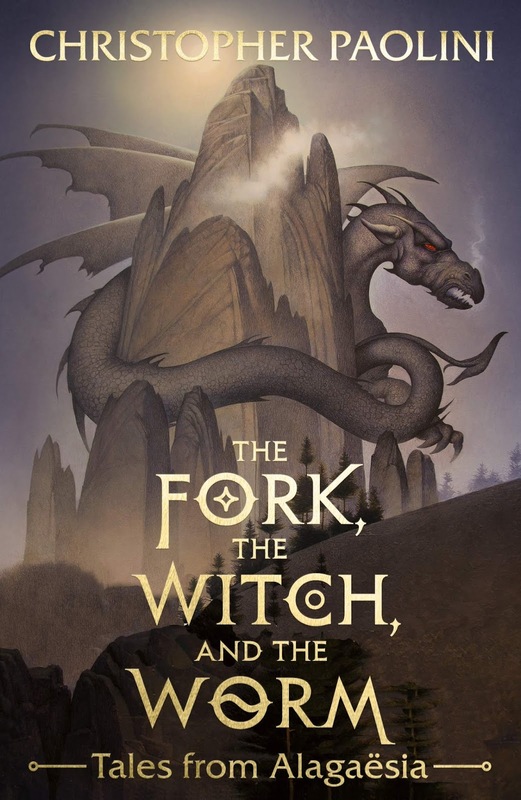 So when this collection of short stories was announced to go with the series, I added it on my radar, but with the plan to read AFTER I completed the four book series. Set a year after the events of Inheritance, Eragon is trying to find a new home for the dragons. But with that, comes duties. Trade agreements, guarding dragons, dealing with elves and Urgals. 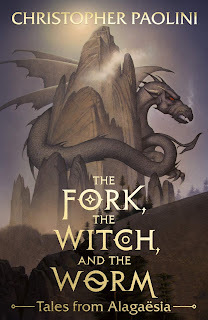 But three things happen that, hopefully, bring Eragon a much needed-distraction and new perspective: a vision from the spirits of the dragons past, an unexpected visitor and an Urgal legend. I have kept my eye of the series and, while I have always leaned more towards Behind the Sugar Sky more then Down Among the Sticks and Bones, I have always found one excuse or another not to return to this world. 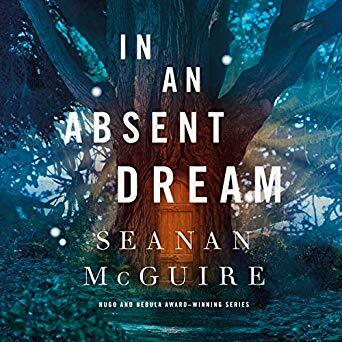 But when I discovered I had a ton of credits on Audible and that In An Absent Dream was out the following day (I listened to a good chuck on this on the day of release), I ordered it and dived straight in.